Did the Operation Reinhard death camps have enough room for mass graves? There is not enough room in the Operation Reinhard death camps of Treblinka, Belzec, and Sobibor to have buried the bodies of the alleged victims. To prove their assumptions, Holocaust deniers cite invent figures for the size of the Operation Reinhard death camps. They also cite faulty figures for the collective body mass of the victims. When the evidence is examined with more reasonable estimates, it is clear that there was more than enough room to accommodate the mass graves in the camps. Denierbud calculates how much space he believes one adult male body would occupy and arrives at a figure of .3408 cubic meters for each (or about 12 cubic feet.) He then arbitrarily decides that one mass grave in Treblinka would have contained 11,250 cubic meters of burial space. He divides the supposed 11,250 cubic meters by .3408 cubic meters per body, concluding that one grave could hold about 33,000 bodies, or about 3 adult male bodies per cubic meter. Using the figure of 33,000 bodies for each grave, he divides the number of victims in each camp by the 33,000 figure, arriving at the number of pits each camp needed. For Treblinka, with his estimation of 700,000 victims, he arrives at a total of 21.2 pits. For Belzec, with his estimation of 600,000 victims, he arrives at a total of 18.02 pits. For Sobibor, he offers no evidence, faulty or otherwise. Instead, he neglects performing any calculations in order to ridicule the standard historical view of Sobibor having mass graves. First, the cubic area Denierbud calculates is not representative of the average size of the victims. Second, he misrepresents how bodies were thrown into the graves. The manner he supposes actually would have wasted the space available. Finally, he uses maps of the camps that are not accurately scaled to size; these maps cannot be used to draw conclusions about the number of graves. Let us look at Denierbud’s faulty assumptions one at a time. Denierbud concludes that about three adult male bodies could be buried in one cubic meter. How does he calculate this figure? First, he calculates a shoulder width of 26 inches for each body, a depth of 16 inches (including an even 7 inch layer of sand) and a length of 50 inches. The 50 inch length is less the area of the head, which he positions between the feet of two other bodies, thus creating a cheerleading-style pyramid. The shoulder width of 26 inches corresponds to that of a healthy, well-fed, adult American male, who most likely plays football and exceeds 225 pounds. This was not the condition of the victims, who were largely emaciated women, children, infants, and elderly Polish Jews. These were majority of the victims in the camps. In the mid-twentieth century, Polish Jews were—according to our modern standards in the United States—generally of smaller stature. The average height of a Polish Jewish male was about 5 foot 3 inches. It follows that their body mass was also less on the average. Interestingly, other Holocaust deniers who attempt the same calculations arrive at relatively more realistic figures than Denierbud. Both Carlo Mattogno, an Italian Holocaust denier, and John Ball, a Canadian Holocaust denier, calculate 8 bodies per cubic meter, assuming one-third of the victims were children. Denierbud’s calculations double or triple the space needed for the body of a child or infant, who made up about half of the number of total victims. A more realistic figure comes from Alex Bay, who has meticulously and scientifically analyzed the air photographs of Treblinka and Belzec with the most current technology available. By calculating the mass of a more typical adult male body, he comes much closer to the true burial capacity of a cubic square meter—10.7 adult male bodies. Using Bay’s more realistic body mass, it becomes clear that at both Treblinka and Belzec, there was ample space in the mass graves to hold the victims. Holocaust deniers also often overestimate the amount of lime and sand that was used to cover the graves. The layer of sand (or lime) was not exactly 7 inches at all times, as some state. Spreading even layers of sand and lime over the bodies was not always done in every grave, even within the same camp. We do not have a lot of details about how the mass graves were filled with bodies; there were virtually no survivors from the Sonderkommandos who worked in the extermination part of the camps. Still, some information is available. These testimonies show how hasty the process was while still attempting at least a rough layering the bodies. Still, there is no indication of the precision and care claimed by Denierbud. The objective appears to have been: fill the grave more or less evenly, but not necessarily arranging the bodies in precisely neat rows. Why would the Nazis want to treat bodies of Jewish victims with any dignity? While alive, the Nazis considered them to be diseased parasites and vermin. The Nazis even forbade Jews working at the graves to use the words “corpse” or “victim.” The bodies of the Jews were instead referred to as “Figuren” (puppets, dolls) or “Schmattes” (rags). To Christian Wirth, the director of all three camps, they were simply “garbage” to be disposed of quickly and with the least fuss. He did not want the process of killing to be slowed down. The map of Treblinka used by Denierbud is not accurately scaled. It was drawn from the memory of an eyewitness survivor; it is for visualization purposes only, not dimensional precision. Therefore, Denierbud’s diagrams are invalid. Denierbud uses faulty assumptions to arrive at his calculations. He simply speculates about how the bodies would have been buried and uses an unscaled map to diagram the mass graves. Similarly, John Ball’s conclusions are not based on any evidence. He offers an opinion about the burial space required at Treblinka, making no effort to explain how he arrived at his figures. See “One Third of the Holocaust” at http://www.youtube.com/watch?v=taIaG8b2u8I at approximately 1:34 minutes. John Clive Ball, “Air Photo Evidence,” p. 113 at http://archive.org/details/Air_Photo_Evidence (select PDF). Ball was supposed to be a witness at trial of Ernst Zündel, a German-Canadian Holocaust denier, in Toronto in 1988, but the judge rejected him as a witness because he was not a “proper expert.” In fact, it emerged that Ball was a consulting geologist by profession and the only training he ever received in aerial photography analysis was a course in college. Ball has dropped his $100,000 offer from his web site and dropped out of sight and only his book remains. About the reward being dropped see Jamie McCarthy, “John Ball: Air Photo Expert?” at https://sites.google.com/site/thedenyinghistoryproject/john-ball-air-photo-expert. See “One Third of the Holocaust” at approximately 1:40 minutes. See “One Third of the Holocaust” at approximately 1:36 minutes. R&D Ergonomics sells ergonomic rests for computer users, which are based on shoulder measurements. An average-framed individual has shoulders between 16 and 26 inches. A large-framed rest fits people with very wide shoulders, exceeding 26 inches. See www.morencyrest.com/sizing.htm. The average stature of male Poles (both Jewish and non-Jewish) was about 5 feet 3 inches, with Jews being, on the average, slightly shorter than Poles. Female Jews were, on the average, shorter yet—around 5 feet tall. About 10 percent of the Jewish population was taller than the average. See Jewish Encyclopedia, “Stature” at http://www.jewishencyclopedia.com/articles/13993-stature. Alex Bay, “The Reconstruction of Treblinka” (Appendix D—Ash Disposal and Burial Pits) at https://archive.org/details/TheReconstructionOfTreblinka. See also “Belzec, Sobibor, Treblinka. Holocaust Denial and Operation Reinhard. Chapter 7: Mass Graves (5). Capacity of the Graves” at http://holocaustcontroversies.blogspot.com/2011/12/belzec-sobibor-treblinka-holocaust_4489.html. For an extended analysis of how many bodies the mass graves in Belzec and Treblinka could have held see Jonathan Harrison, Robert Muehlenkamp, Jason Myers, Sergey Romanov and Nicholas Terry, Belzec, Sobibor, Treblinka: Holocaust Denial and Operation Reinhard. A Critique of the Falsehoods of Mattogno, Graf and Kues, pp. 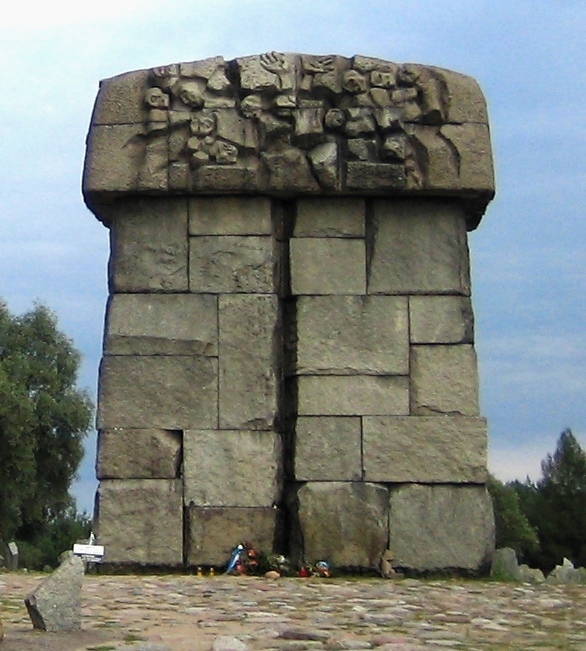 416-427 (“Capacity of the Graves”) at http://holocaustcontroversies.blogspot.com/2011/12/belzec-sobibor-treblinka-holocaust.html. Select Google Docs, Rapidshare or Archive.org for a PDF version. Abraham Krzepicki, “Eighteen Days in Treblinka” in Alexander Donat’s The Death Camp Treblinka: A Documentary (Holocaust Library, 1979), p. 86. Testimony of Motke Zaïdl and Itzhak Dugin on the digging up and cremation of the bodies in the mass graves at Vilna, Lithuania as cited in Claude Lanzmann, Shoah: The Complete Text of the Acclaimed Holocaust Film (Da Capo Press, 1995), p. 9.